Wild encounters have changed considerably from past games. First, the Pokémon appear on the overworld and encounters start when you walk into it. Each Pokémon may sometimes have an aura. If it's a red aura, the Pokémon will be larger than normal. If it's a blue aura, it'll be smaller than normal. If it has stars above its head, and has the Shiny Colours it will be Shiny. From there, the wild encounter is completely different. Rather than battle them to weaken them, you simply just capture them. Capturing does provide experience for the player's Pokémon. A feature introduced in Yellow, not seen again until HeartGold & SoulSilver, Following Pokémon returns. 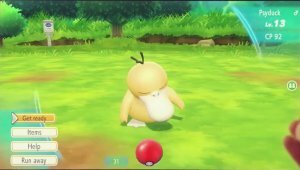 Here, you can set your Pokémon to follow you, or if they are of sufficient size, you can ride them for Pokémon such as Onix and Charizard. This is also the case of your partner Pikachu & Eevee who are forever on your shoulder/head. They can then be interacted with. 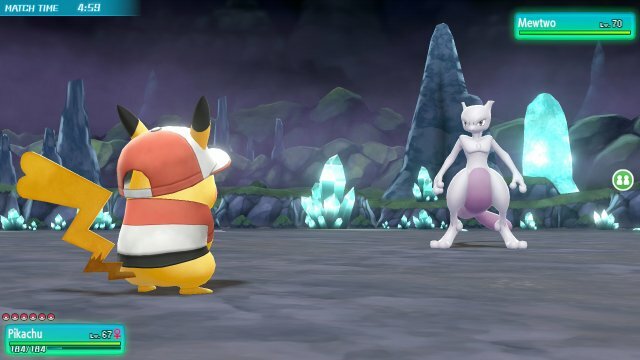 Battles remain largely the same as previous Pokémon games but are restricted to just Trainer Battles and Legendary Battles. However, for these games, there are no Hold Items or Abilities to factor into the battles as they are not in the game. 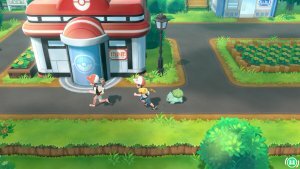 The EV training system is also massively changed. 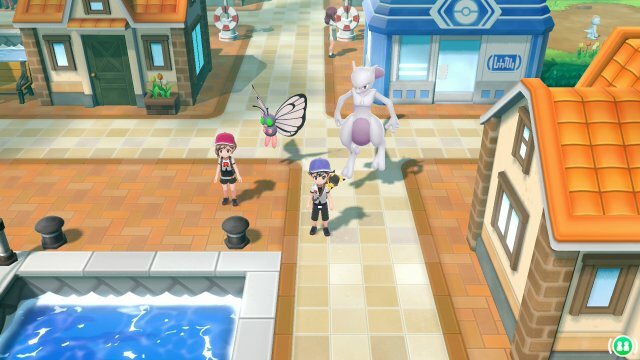 A new element that has been confirmed is that the Pokémon box is no longer only accessible through the PC at Pokémon Centers, but rather you can check the Pokémon and make switches from anywhere through your Bag. The game includes 2 Player Co-Op play where a second player can activate the controller and warp into the game. They use your pool of Pokémon and when you battle, it becomes a 2 VS 1 Multi Battle.. Combat Points are a feature introduced in Pokémon GO that carries over to this game. 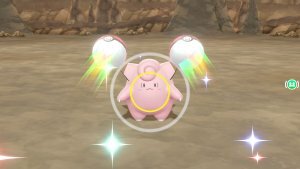 Combat Points are an aesthetic only determination of the stats that take the Pokémon's stats, and IVs and puts them in a calculation to display to help determine the true strengths of the Pokémon You can see a Pokémon's CP on the capture screen. In these games, the entire stat system has changed. 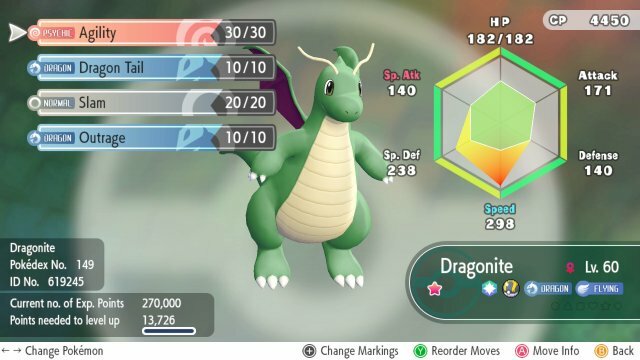 EVs are gone and replaced with AVs ,a new system that allows you to max out every stat to 200 with each AV equalling 1 Stat Point regardless of the level meaning you can have really high stat Level 5 Pokémon.